Researchers at the Centre Mémoire de Ressources et de Recherches, in Paris, France assessed the usefulness of their music intervention to manage patients with chronic pain. 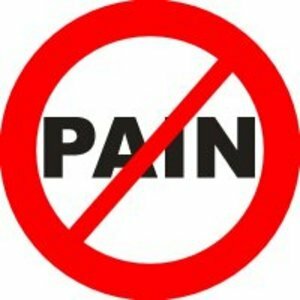 87 patients with lumbar pain, fibromyalgia, inflammatory disease, or neurological disease were included in the study. During hospitalization they were randomly assigned to a treatment group. At least 2 daily sessions of music listening over 10 days, associated with their standard treatment, which continued at home until day 60 using a multimedia player in which the music listening software program was installed. The control arm received standard treatment only. Changes in pain (using a visual analog scale), anxiety-depression (hospital anxiety depression scale; HADS) and the consumption of medication were recorded. HADS is a 14-item scale where 7 of the items relate to anxiety and 7 to depression. Music intervention contributed significantly to reducing anxiety/depression and the use of anti-anxiety drugs. How does one treatment such as music make a significant contribution to an array of conditions with differing underlying pathology? In 2001, researchers from the Eastern Norway Research Centre, in Lillehammer reported, “Music served as a motivational device for moving our bodies, releasing anger or aggression, and even transcending pain.” In their study, “Personal preferences in music seemed to be important” for optimal results. They concluded that music was associated with increased self-awareness and consciousness, well-being and health for the majority of the participants they studied. On this blog, search the terms “music” and “pain” for long, long list of conditions where the response to music was studied. This entry was posted on Wednesday, May 30th, 2012 at 2:19 PM	and is filed under Anxiety (Panic)/Depression, Art, Music, Dance, Fibromyalgia, Pain, Rheumatoid Diseases. You can follow any responses to this entry through the RSS 2.0 feed. You can leave a response, or trackback from your own site.